For the last three or so years I have being writing a book on the atonement. It is taking a lot longer than initially planned because soon after I started I realized that there were a few things that needed to be included that I simply was not confident enough to write about with any real conviction. So I have devoted much of the last few years to reading and studying what others have to say regarding the death and resurrection of Christ. This includes Jeremy Myers' new book which looks at the atonement from a non-violent perspective. For those of you who are not familiar with Jeremy Myers, he is a well studied, prolific writer (do you ever sleep Jeremy?) who doesn’t just think outside of the box, I suspect that he is not even sitting in the same room as the box. Some may find this dangerous but I find it rather refreshing, even if you don’t agree with everything that he says, you can always guarantee that his writings will add perspective to the topic at hand. Jeremy opens up The Atonement of God by first looking at some of the other models/theories of the atonement. Namely penal substitution, the moral influence theory and the ransom theory before presenting his own case for a non-violent Christus Victor model. He does a good job presenting each view fairly, giving praise and criticism wherever they are due. All is presented in a non academic, easy to understand way, perhaps aimed more at ones heart than the head. The rest of the book from there on is devoted to how this non-violent view of the cross has a ripple effect into other areas of our theology. Perhaps I should mention here that when we speak of the cross as non-violent, we are referring to God’s actions and not man’s (which were quite obviously very violence). 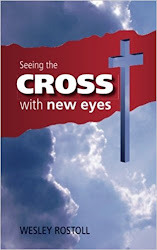 The ten areas that he focuses on are how a non-violent reading of the cross brings continuity to the life of Jesus, how it reveals the truth about who God is and what He is like, how we interpret scripture, the truth about sacrifices, humans, sin, forgiveness, justice, violence and lastly the way to peace. There are a lot of good things to take away from this book, some of my favorite things about it though are how the atonement is presented in a way that allows us to not completely dismiss the other views but to take the good that is in them and discard the bad. I loved how the cross was presented as the culmination of Jesus’ entire ministry. That is to say that in His life Jesus overcame Satan (think of the three temptations in the wilderness), He healed the blind and set the captives free, He revealed God’s forgiveness to sinners and He raised the dead. In His death and resurrection Jesus does the same thing, no other view of the atonement places any real significance to the life of Christ which I see as problematic. The book also portrays a more Christ-like God, something which, at the least the penal substitutionary model clearly fails to accomplish. Then finally, for anyone not familiar with the work of Rene Girard and mimetic theory in particular, this book is a great introduction to his ideas. Few people have written about mimetic theory in a way that is as easy to follow and understand but Jeremy has done a superb job of bringing these ideas across and making them practical for us today as well. Perhaps the biggest and most controversial issue in this book is how it deals with the violence of God in the Old Testament. The basic idea presented (as far as I understood it) is that just as Jesus bore our sin and shame on the cross, in a similar fashion the Father allowed false ideas about Himself (as one who condones war and killing) to be interwoven into certain parts of scripture. This was permitted not to throw people off but rather to reveal to us through Christ what is in our own hearts. It sounds crazy with a flat reading of scripture but through a crucivision (cross-centered) reading of the Bible an interesting case is made not only for a non-violent God but also for inerrancy as well. I suspect that along with Greg Boyd’s much anticipated and soon to be released The Crucifixion of the Warrior God, this view will gain some momentum going forward. For the record, I am calling this theory the New Perspective on Moses (you heard it here first :) ). There were a few small things that perhaps I was not entirely happy with in the book, the reason why Cain and Abel’s sacrifices were accepted and rejected are described very matter of factly, which I am not sure we can be so dogmatic about. While I appreciate mimetic theory I think it belongs more within the moral influence framework of the atonement and I think that it is more an added bonus, than the real meat of the cross. Lastly, sin is also presented as not that big of a deal to God and I know what he meant, that sin is like a puddle of urine and God like the ocean (no real comparison). God is not threatened by sin nor is He powerless to save us from it. But even though Jeremy does say that sin is an issue that God addressed and it does matter because it destroys people who are the objects of God’s affection. I think people might get the wrong idea by what was written on the topic. But like I said, this is a good read and well worth adding to your bookshelf. It will certainly challenge your ideas and add new perspectives as well. I am in complete agreement with the overall message of the book. That Christ died to save us not from a wrathful, violent Father but because the Father loved us. The salvific nature of the cross was not to appease an angry God but rather it was God, in Jesus, setting us free from sin, Satan and death. 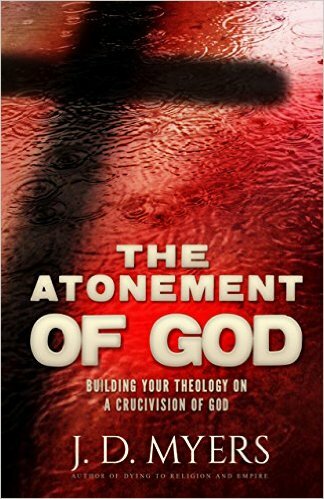 The Atonement of God is available on Amazon by clicking here. You can also read Jeremy’s blog by clicking here. Is the second death eternal separation from God? In everything that I have previously written on conditional immortality, there is an aspect regarding the fate of the lost that I have not addressed before which is the nature of death itself. The popular concept of hell today teaches that death is eternal separation from God which I would agree with but where I part ways with the traditional understanding of this is where that separation is believed to be an eternal conscious torment of the lost soul. The idea that the Greek word thanatos means separation and not death is simply incorrect which is what the first part of this article will try to prove. For the wages of sin is death but the gift of God is eternal life through Christ Jesus our Lord. The first thing that I would like to point out here is that I have not found a single translation thus far that translates ‘death’ in this verse as ‘separation’. The whole contrast that Paul is making falls apart if thanatos only means separation. The opposite of eternal life is not merely separation but rather eternal death. The second point to make is that if Paul did mean to contrast eternal life with eternal separation he could have used the Greek word that actually means separation which is chorizo. We see the word chorizo later on in Paul’s same letter to the Romans in a portion of scripture that many of us know off by heart. I soon discovered the charge was something regarding their religious law – certainly nothing worthy of imprisonment or death (thanatos). While physical death could be defined as the separation of the body and soul. Death can never be defined as a less pleasant form of life because it is the very opposite of life, the writers of scripture deliberately showed this to be the case as they consistently contrasted life with death and destruction (Matthew 7:13-14, John 3:16, 3:36, 5:24, 6:58, 10:28, 11:25-26, Roans 5:21, 6:23, Galatians 6:8, Hebrews 10:39). Even though I have spent some time explaining why I think death is, well, death… I do acknowledge that the wages of sin is separation from God as well (Isaiah 59:2, 1 Corinthians 15:56, Ephesians 2:1,12, Colossians 2:13). Some of these verses even speak of sin as death AND separation as though they were the same thing. The important thing to note here is that they are referring to people in this life who were lost. They were spiritually dead and lost, much like the prodigal son who “was dead but has come back to life”, and was “lost but now is found” (Luke 15:32). 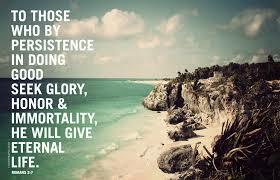 One must be in community with God, who alone has immortality (1 Timothy 6:15-16) to receive the gift of eternal life. Notice that John’s wording above is slightly different than Paul’s. The contrast here between those who inherit life and those who do not is as clear as it is in Paul’s writings but it avoids the debate over words like thanatos. Separation therefore is much easier to understand as the eternal state of non-existence rather than as eternal torment. Is the second death eternal separation from God? Yes it is but it's not eternal conscious torment.